I’m aware that I live in a bubble, believe me. It didn’t create itself and it didn’t happen overnight. My media consumption (social and otherwise) is tailored to within an inch of its life. Interactions with family members and heterosexual friends are strictly regulated. Most of my friends are, in fact, ‘gay’. My workplace is entirely LGBTIQ owned and operated, and its client list is curated accordingly. I don’t do it deliberately, but let’s be honest, I look like a stereotypical lesbian, and always have. I’m rarely mistaken for heterosexual. We expected a level of hostility and judgement along the way. About our approach, our ‘lifestyle’, our opinions, our age. We expected the homophobia, the ignorant questions, the red tape of a heteronormative medical system. What we didn’t foresee was the expectation of others that we were in the process of joining their club, and that we were interested in abiding by its rules. That ended about as well as you’d expect – if you were me, being sent a picture of a dress. Why would she do that? I asked Partner, not rhetorically. When has she ever seen me wear a dress? It’s ridiculous. Does she think I’m suddenly going to turn into a girl if I’m pregnant? Trying to placate me as I become stereotypically hysterical, I’m told by Partner that she was just trying to be nice. I’m not so sure. I’m reminded of the time I was told that my knight in shining armour was just around the corner when I had been living with a partner for several years. It seems a bit like going backwards, to have to confront the heteronormative expectations you thought you had left behind. That you had put in the work to be rid of. It’s disheartening to realise that you have become a different type of person in someone’s eyes by virtue of expressing a desire to have a child, and being that person erases part of who you were a few minutes ago. It’s tiring, to repeat the same arguments to try to ‘prove’ otherwise. It’s infuriating that you know you have to be delicate, that to say something like ‘my gender expression is not going to change if I get pregnant, I feel like you want to dress me in drag’, would not be well received. It’s also, not to put too fine a point on it, eye opening and vaguely horrifying to turn one’s attention to the inner workings of the club you’re being invited to join. Managing the expectations of heterosexual friends and family as we navigate potential parenthood has been challenging in unexpected ways. There has been plenty of hostility – but not generally from where Partner and I expected. We have become the hostile party – to ourselves, to each other, and to people who are ‘just trying to be nice’, as we (over? )react to being welcomed into a narrative we had largely, and successfully, been ignoring for most of our adult lives. What do we do with that? Is it just a dress? Am I being hysterical? Perhaps I should lower my expectations. 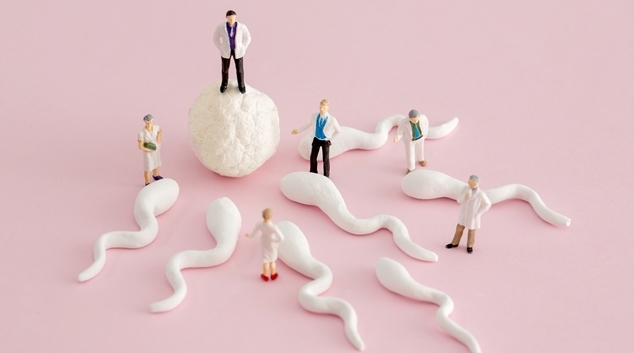 This article is part of a series by a local community member on their IVF journey. Read last month’s article here.